There was agony and ecstasy for Ireland’s European Tour hopefuls as the Second Stage of Qualifying School came to a close across Europe this afternoon. The big winners were Gavin Moynihan, Cormac Sharvin and Robin Dawson who all advanced from their various assignments. 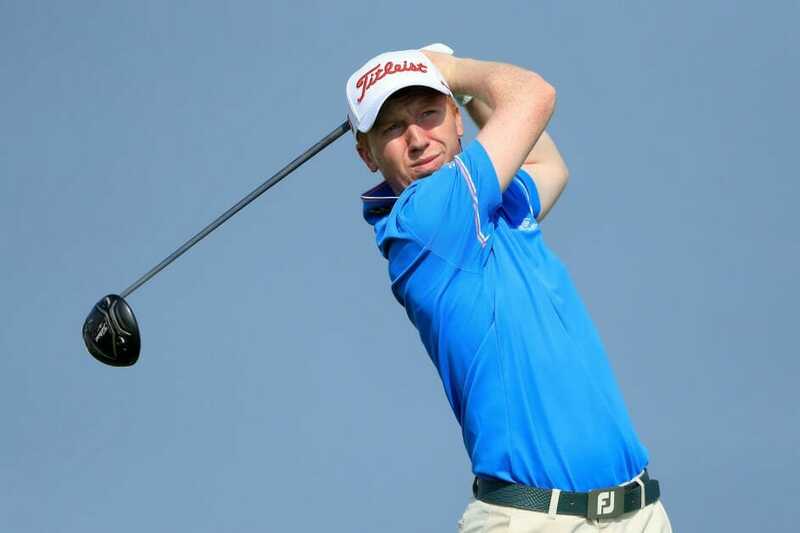 Moynihan, who has looked a golfer reborn in recent weeks, blasted his way to Final Stage with a stunning, bogey-free six-under-par 66 at Desert Springs Golf Club at Almería. The Dubliner looks to have rediscovered his magic and qualified to next week’s examination with ease in 4thplace overall at 15-under-par. Meanwhile, after shooting the lights out with a 64 on moving day, Cormac Sharvin ensured his safe passage to next week also with a consolidating two-under 70 at El Encin Golf Hotel in Alcala De Henares. Sharvin finished in a share of 6th spot on 13-under-par alongside Tramore rookie, Robin Dawson, who looks to have taken to the pro ranks like a duck to water. Having done the ground work over the first three days, a one-under 71 was enough to see Dawson through to next week’s grueling test alongside his Ardglass compatriot. Unfortunately the news wasn’t so good for Old Conna’s Neil O’Briain who closed with a one-over 73 to finish well outside the reckoning in a share of 47th spot at minus-four. It was the end of the line also for two of our pretenders at Las Colinas Golf & Country Club in Alicante where Rosapenna’s Ruaidhri McGee and former Newlands man Cameron Raymond both bowed out. McGee finally found his shooting boots in round four but his five-under-par 66 came much too late as he finished well down the board in a share of 42nd on minus-one, while Raymond finished two shots worse off on plus-one after a 72 to finish. At Alenda Golf Club, Naas’ Conor O’Rourke will have to plan a schedule elsewhere next year after he signed off with an even par round for 65th spot on four-over-par. Where Moynihan prospered at Almería, Clandeboye’s Jonathan Caldwell suffered the heartbreak of falling one shot short of the qualifying mark of nine-under-par; his three-under 69 agonisingly close to advancing to Final Stage. It was the end of the road there too for Waterford duo, Gary Hurley and Kevin Phelan who failed to spark over the weekend. Phelan finished well off the pace in a share of 40 that minus-three while Hurley posted a disappointing 75 for an even par effort that resigned him to a share of 51st place. Unfortunately a slip on the stairs ruled Mount Juliet’s Luke Donnelly out of competing for his European Tour card at Stage Two. Those who’ve lived to fight another day face 108 holes at Lumine Golf Club next week from November 10-15 at the most mentally draining of all golfing propositions. 156 players will play two rounds across both the Lakes and Hills courses and after four rounds, the leading 70 players and ties on the cut mark will advance to the final 36 holes. We wish our hopefuls well.